TV Out on the Nokia N95 ::N95 become a Computer!!!!! 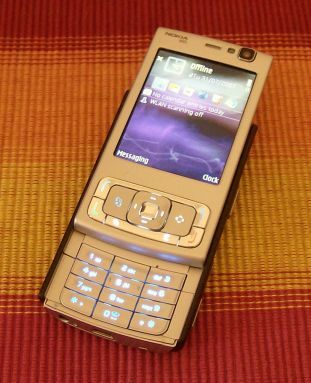 TV Out on the Nokia N95 - Part 1: Will the smartphone eat the PC? processing powerhouse that resides in even the cheapest models. 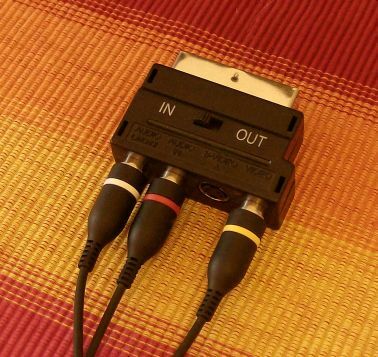 Physically small screen, physically small buttons. screen, a multitasking operating system and a "full blown" web browser. smartphone, no matter how well designed it was. there's absolutely nothing that anyone can do about this. mapped to the blue dot. touch it or even see it in order to access all of its functions. game, or edit a word document, without leaving the sofa. any major electrical shop or ordered online (see the photo below). option, set it to default so that it activates automatically in future. image on your TV suffers from, well, flickering. 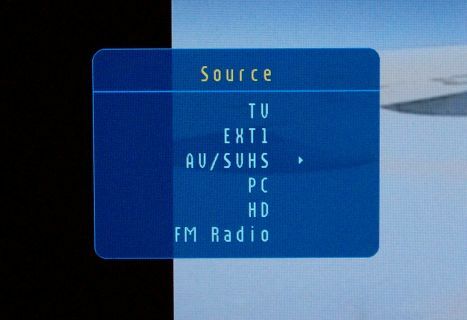 one of the menus as AV (on most sets), as seen in the example below. 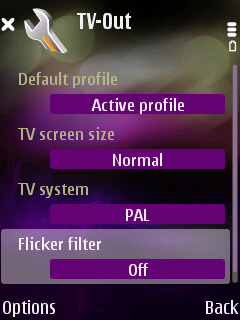 These settings should work on most televisions, including widescreen ones. The AV option will display the connected phone's TV Out. 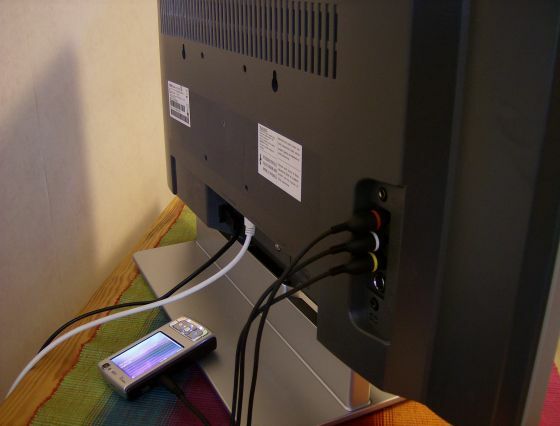 harder to send television signals into a computer monitor. 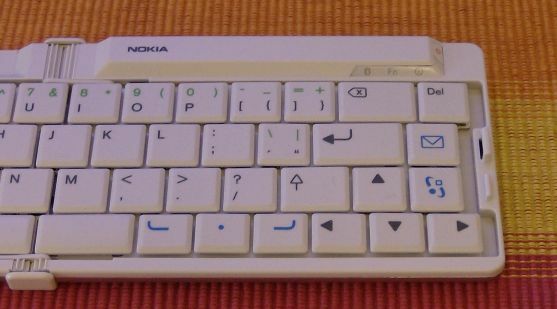 The N95: What (desktop) computing has become? Will the phone eat the PC? don't buy a PC because you already have one built into your phone? Perhaps, and sooner than you might think. so that you don't have to scroll sideways on websites, for example. screens, as QVGA still looks a bit clunky on a large screen. exactly the resolution of a Standard Definition widescreen television. bringing them even closer to replacing the home computer. 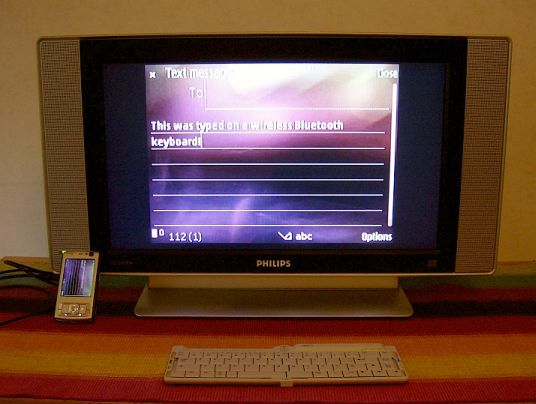 concept of the smartphone as a home computer substitute. why people need a physically large computer at all. casual PC users want a standalone PC at all? functions anywhere, even on the move? enough job, then people may start to use them instead of separates. will sideline separate computers in exactly the same way. nice link man good job!! Subject: Re: TV Out on the Nokia N95 ::N95 become a Computer!!!! !